The ongoing use and popularity of America's rail system is not without cost. Each year thousands of railroad workers suffer injuries and death while engaged in work-related duties. 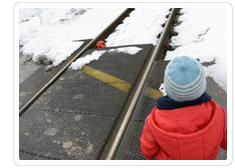 Railroad passengers also continue to be injured and killed while traveling by train, though declining usage has resulted in an overall decrease in the number of passengers injured. The most shocking number of non-work-related train accidents and injuries occur at railroad/highway crossings. According to the Federal Highway Administration, a train strikes a vehicle or a pedestrian at a rail crossing approximately every 2 hours in the United States. These 12 daily incidents have the potential of producing catastrophic injuries and deaths. 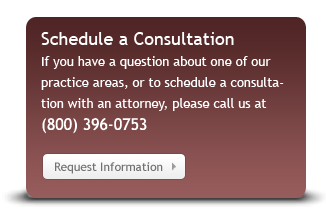 Don't hesitate to contact us with any questions you may have. Federal Employers' Liability Act (FELA), please read on. It is important to note that the amount of fault that needs to be shown (sometimes called the "burden of proof") in a FELA claim is less than the degree of fault that one needs to establish in an ordinary negligence claim, such as in a lawsuit brought for injuries suffered in a car accident. A person bringing a FELA claim need only show that the defendant was somehow negligent, and that such negligence, no matter how small in its relation to the injuries suffered, played some role in causing those injuries. This is sometimes known as a "featherweight" burden of proof, and it gives an advantage to the FELA plaintiff seeking a legal remedy for injuries. FELA also requires that the railroad on which the employee was injured be somehow involved in interstate commerce, but this factor is almost always a given. Contact us with any additional questions you may have. We represent clients in California including the San Francisco Bay Area, Oakland, San Jose, Sacramento, Los Angeles and other California communities.